Women Achievers: Dr. Versha- Founder and Owner of "Tutu & Tassel"
Dr. Versha- Founder and Owner of "Tutu & Tassel"
Several working women get constrained to work after maternity leaves, because of either demanding children or other situations arising out of parenthood. Or some of us simply don’t like to go back to work. Our guest of today, Versha was also in the same boat, wanting to spend more time with her children. While some of us simply drop our career prospects completely, others revive it and turn their passions into profession and that’s where Versha came up with the idea of Tutu & Tassel. Tutu & Tassel is an online store where everything you find is handmade. It is truly inspirational how Versha left behind her prosperous career and took the decision to start her own business. Entrepreneurship is truly challenging as it involves building a brand from scratch and we can’t help but admire how Versha converted her dream and passion into a business opportunity for herself. Tell us some background of your early life, schooling, family background, education? I come from a middle class family from central India. My father is a retired Engineer and mother is a housewife. We are a big family of 4 sisters and one brother. I studied Masters in Biochemistry and then did my PhD in Life science from Jawaharlal Nehru University, New Delhi. From the early days of my life, I was a crafter and I have always been inclined to the artistic side of things and I love making all kinds of things. I was very much into painting, drawing and various style of art, whether it was cooking, making decorating unique artifacts’ for house or designing uniquely styled outfits. I met my life partner in Delhi and we got married in 2007 and then we moved to Australia. He is an IT professional and working with an IT organisation in Melbourne. I worked as Post doctoral fellow for almost 5 years at Monash University, Melbourne then I moved into Biotech Industry adopted a cooperate life stlyle where I worked as Sales Representative. I am mother to gorgeous kids; son Naksh (4yr) and daughter Nishka (2yr). They are my biggest inspiration and are very special kids as they share the same birthday. As I grew up around my creative mum, who is very much into sewing, knitting and she always encouraged us to learn new things and explore our imaginations in creating new things. Since early days of my life, I have always been into decorating my home and creating new things. As, I continued to make things for my kids for their nursery, and design and sew outfit for my daughter. I love using various textiles, fabric, designs, and seeing how different colours and fabrics pair together when I was making things for my daughter. So decided that opening up an online girls handmade clothing boutique would be a really fun thing and something which I love doing it. What does the name "Tutu & Tassel" signify? Tutu & Tassel is online handmade girls special occasion clothing boutique and it signifies the two best-seller products of our boutique. 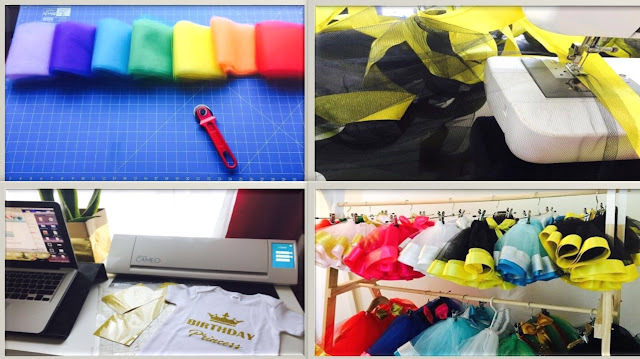 We are specialised in designing customised tutu outfits for little princess and we create matching party supplies. Our boutique is proud to be an Australian handmade designer brand where everything is designed and handmade in Australia. Your educational background is totally different from your current profession, what is a motivation is behind it. 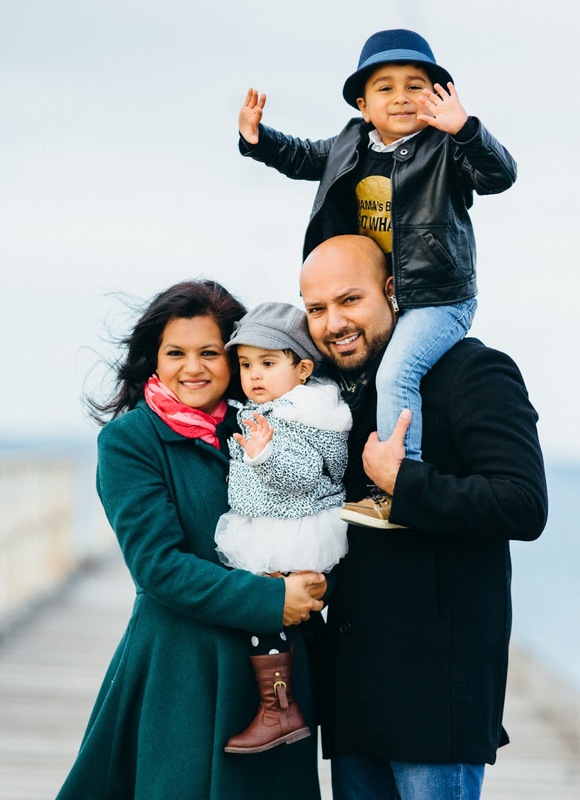 I had successful academic/corporate career but I agreed while enacting new mum role, work lifestyles wouldn’t mix with the family, I wanted to have, and so I was on the hunt for a project. I was looking for inspiration. I realised that I can use passion for art and imagination to create something special for all the little divas. That’s where “Tutu & Tassel” incepted. But I wanted to make sure that I had a perfected the outfits so my items would look professional, had my business branding in order before I got started. When all ducks were in row then I launched this girls special occasion designer brand in March 2016, that offered flexibility and suited me, rather than me bending to fit the traditional industry, and I am thrilled that it is proving just as successful outside the traditional other jobs. How do you balance between personal and professional life. The truth is you can do it all if you just change what your definition of balance is. There are times where my business gets more attention than my kids and vice versa. In the end I like to believe that is all balances out. Part of being an entrepreneur is being comfortable with changing direction quickly. Needless to say as a mother and entrepreneur you'll get a ton of use out of that skill! Just need to have faith, and take it one day at a time. The thing that I love the most about running my own handmade business is the amazing community of Australian handmaidens that I have met along the way. No one better understands what it's like to run a handmade business than other people who are doing it too. They are an amazing wealth of information, and always there to support me whenever I needed them. Being an entrepreneur is exciting, rewarding and risky as well. What do you feel about it? Absolutely, in life nothing comes easy, Entrepreneurship is a ton of work. However don't let the perception of this lifestyle count you out before you even count yourself in. Being a mom comes with a wealth of skills that do well in entrepreneurship like: multitasking, creativity, managing and/or operating on a budget, and problem-solving to say the least. I believe, particularly in my business, I have two major challenges with a handmade clothing business. One, is competing with bigger brands and two, is being viewed as respected designer brand and not just handmade clothing. Competing with larger, mass produced brands making similar products in my category will always be a challenge to overcome. They have the ability to distribute so vastly and discount their products so much that it sets a huge amount of pressure to do the same. For now, I am a one woman operation, so I have learned to really focus on my brand and educate my demographic on the specialness of buying handmade. Don’t let inexperience stop you. My business exposure was basically limited to organizing school fete and running lemonade/food stalls. Not knowing which steps to take first nearly froze me with fear. I overcame this by reaching out to other handmade small business owners and business networking society who could connect me to experts in marketing, suppliers and sales. Each key person I met shortened my learning curve and gave me confidence. You’ll be pleasantly surprised by how other small business owners want to pay it forward and see new upstarts succeed. Go confidently in the direction of your Dreams and live the life you have imagined for yourself and your family. Success will be on your way!!! It is always a pleasure to interact with women who not only achieve work life balance but also work in the field that makes them realise their dreams.To know their full story and how they achieved their dreams log onto our website this week - http://www.womenachievers.net/ .